Lexi LOVES her new treehouse! 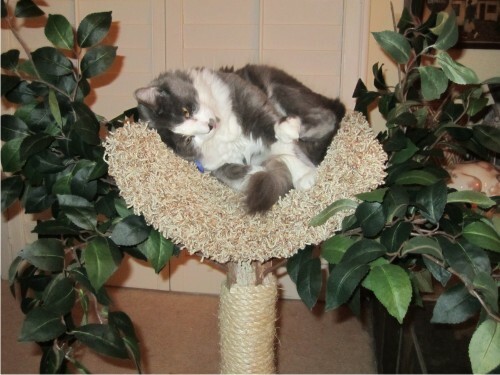 Thank you Pet Tree Houses--you are SOOO creative and we appreciate you and our new Zen-kitty-tree! Our cats loved their first tree so much, we had to get another! 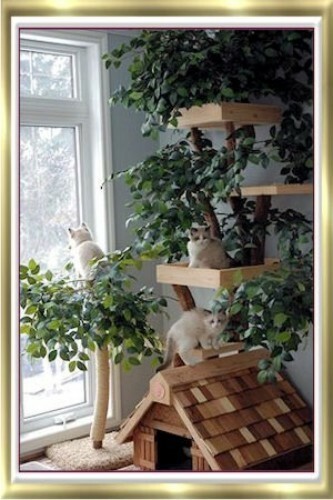 Thank you so much, your Tree house is so beautiful ,I raise my Ragdolls kittens in my Sunroom that is my Nursery , the tree house makes it so nice they love it. 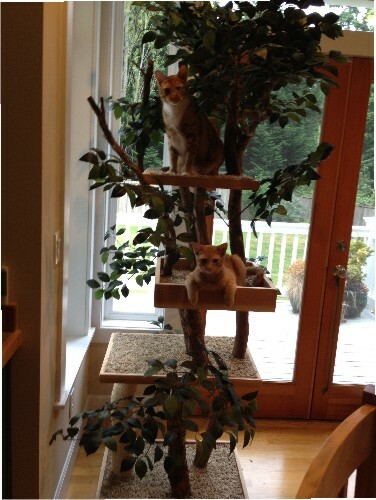 I just wanted to let you know that the orange boys, Nathaniel and Sam, love their new tree! They are still working out who gets the top shelf though. They said they'd also like a roof deck on the next one! They do like to get onto the top shelf and shake the branches, even sometimes shaking off some of the leaves. It's good to know that you sell replacement leaves! Everyone that sees the tree is very impressed. I had a friend ask me for your website today. 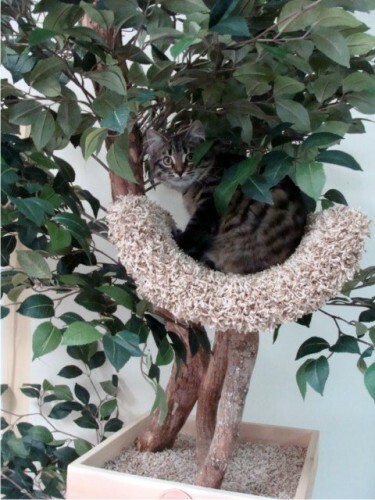 Here are a few pictures of the boys in their new tree. Our two kitties, Rosie and Sammy really enjoy the tree. It's has become part of their daily exercise and rest routine. If anyone is considering your trees but is not sure, I can say that the pictures look good, but in real life the trees look better! You have a great product and excellent customer service. Thank you so much! "Just beautiful. This is the only cat tree I have ever owned that actually enhanced my home decor. My cats love it. 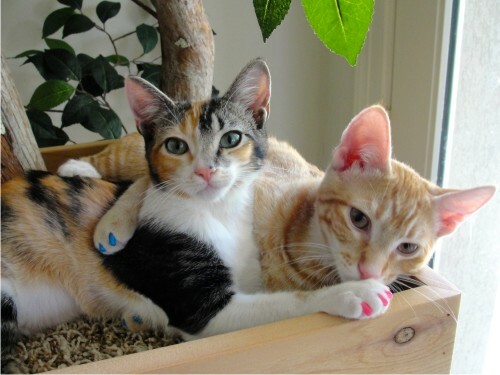 My only complaint is that I have to sweep up bark every now and then from cat scratching. However thats not a reason to even think of giving it back. love love love it." 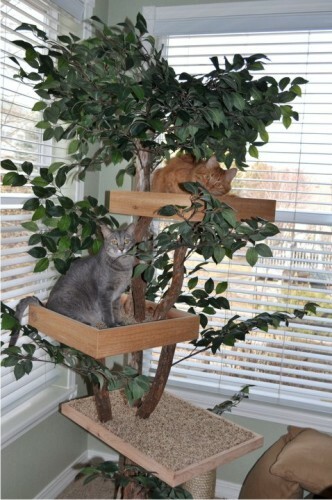 Dalton and Peyton LOVE their new tree house! They were on top of it before it was out of the box! Thanks so much for this wonderful product! 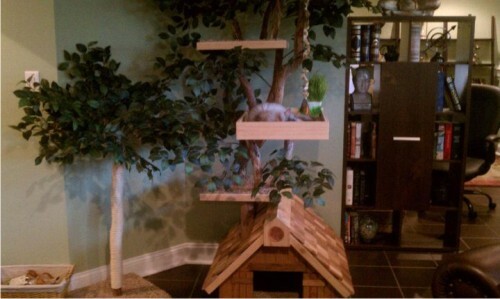 This Pet Tree House is "Purrfect" Our cat, Rocket absolutely loves his new tree house. So far his preference is for the middle shelf but he can be found in all three levels and his house throughout the day. What a beautiful addition to our familyroom. 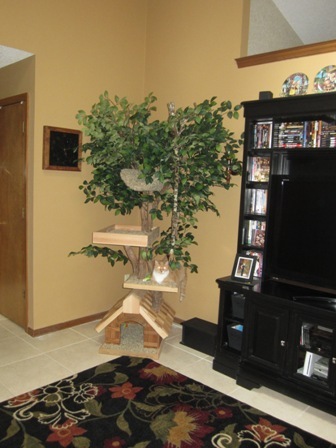 Not only is the Tree House amazing for our cat but it adds such an outdoor fresh feeling to our familyroom. 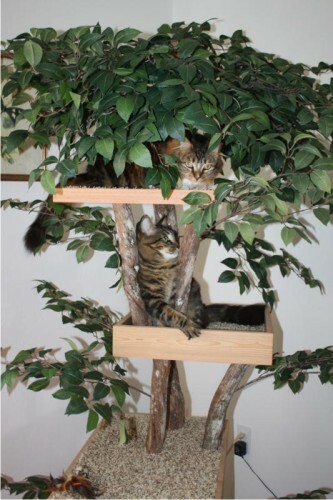 We would recommend any of the Tree Houses that Pet Tree House manufactures. They are quality products. 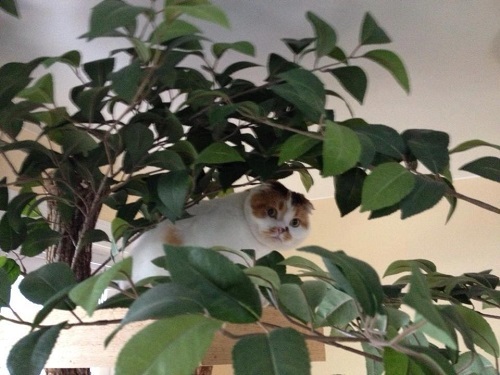 We are absolutely satisfied with our Sycamore Pet Tree houses and our cats even more! Thanks so much for your craftsmanship and creative beauty.